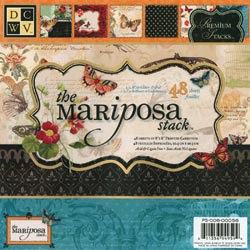 I had several request for the 8x8 Mariposa Paper Pack , and it is now in stock. Beautiful paper!!! Please email me if you would like to order. I do not have this in stock, but will be happy to order it for you.